Over at our friend Tim McCormick’s Catholic Bible blog, there is a lot of excitement over the upcoming Baronius Press edition of the Ronald Knox translation from the Vulgate – reprinted for the first time in decades. Gen 1:1-2 In the beginning God created the heaven and the earth. And the earth was without form, and void; and darkness was upon the face of the deep. And the Spirit of God moved upon the face of the waters. In the beginning God created heaven, and earth. And the earth was void and empty, and darkness was upon the face of the deep; and the spirit of God moved over the waters. God, at the beginning of time, created heaven and earth. Earth was still an empty waste, and darkness hung over the deep; but already, over its waters, brooded the breath of God. Gen. 1:5b And the evening and the morning were the first day. And there was evening and morning one day. So evening came, and morning, and one day passed. Gen. 3:1a Now the serpent was more subtil than any beast of the field which the Lord God had made. Now the serpent was more subtle than any of the beasts of the earth which the Lord God had made. Of all the beasts which the Lord God had made, there was none that could match the serpent in cunning. Gen. 3:13b The serpent beguiled me, and I did eat. The serpent deceived me, and I did eat. The serpent, she said, beguiled me, and so I came to eat. Ex. 15:3 The Lord is a man of war: the Lord is his name. The Lord is as a man of war, Almighty is his name. Jave, the warrior God, Jave, whose very name tells of omnipotence! 2 Sam 1:19-20, 23 The beauty of Israel is slain upon thy high places: how are the mighty fallen! Tell it not in Gath, publish it not in the streets of Askelon; lest the daughters of the Philistines rejoice, lest the daughters of the uncircumcised triumph…. Saul and Jonathan were lovely and pleasant in their lives, and in their death they were not divided: they were swifter than eagles, they were stronger than lions. The illustrious of Israel are slain upon thy mountains: how are the valiant fallen? Tell it not in Geth, publish it not in the streets of Ascalon: lest the daughters of the Philistines rejoice, lest the daughters of the uncircumcised triumph… Saul and Jonathan, lovely, and comely in their life, even in death they were not divided: they were swifter than eagles, stronger than lions. Remember, Israel, the dead, wounded on your heights, the flower of Israel, cut down on your mountains; how fell they, warriors such as these? ** Keep the secret in Geth, never a word in the streets of Ascalon; shall the women-folk rejoice, shall they triumph, daughters of the Philistine, the uncircumcised?… Saul and Jonathan, so well beloved, so beautiful; death no more than life could part them; never was eagle so swift, never was lion so strong. But Daiches’s overall verdict, rendered with good cause, is that Knox engaged in paraphrase, replacing ancient rhythms with his own. The rhythms of the original Hebrew can be perceived in some degree in the Vulgate and in the most literal English translations from it; and those original rhythms are certainly found in the King James version, whose translators seem to have made some attempt to capture them; but there is no trace of them in this new [Knox] version, which has a kind of fluency in narrative alien alike to Hebrew and Jerome’s Latin…. Monsignor Knox might reply that he is making his translation for modern readers, who require a less primitive idiom, a more sophisticated tone. 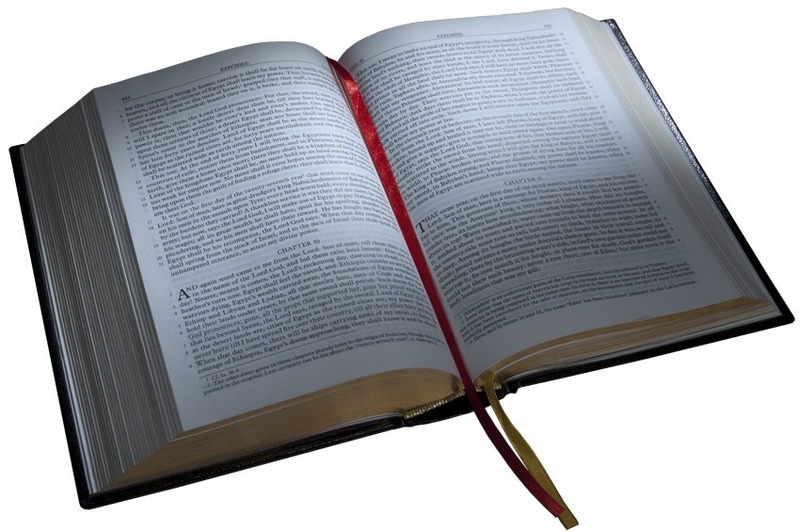 To which it can only be said that the tone of the Bible – either the Hebrew or the Vulgate – is not sophisticated and it is doing violence to it to render it as though it were. Further the primitive narrative style of Genesis and the other early books of the Bible has a folk quality of its own that it seems a shame to lose…. Monsignor Knox has a feeling for prose rhythm, but clearly the kind of prose rhythm he prefers is not that of the Old Testament – it is not, in fact, one which can be applied to Old Testament narrative without considerable use of padding and use of inversion…. Sometimes Monsignor Knox’s dislike of simple emphatic rhythms leads him to pad a sentence to the point of seriously weakening the meaning…. The real difference between the […] versions does not derive from differences between the Hebrew and the Vulgate – these are rarely significant, and it should be added that often when they are Monsignor Knox indicates his awareness of the difference in a footnote – but from a deliberate attempt on the present translator’s part to shift the narrative into a new style. It is a more modern style, certainly, but it is not its modernity so much as its other special qualities that strike one…. This is vigorous and eloquent, but it is not the vigor and eloquence of folk elegy; it is rather the studied plaintiveness of the late 19th- or early 20th-century stylist…. A translation ought to convey something of the quality of the original in tone and style, and the fact remains that the “feel” of Monsignor Knox’s prose is wholly unlike either the Hebrew or the Vulgate Latin. In presenting the Old Testament in sophisticated modern rhythms, much of the grandeur, the simple lyricism of the emotional passages, the limpid of primitive episodic quality of the best Biblical narrative, is lost. And although there are often gains, they do not altogether compensate. Daiches’s 1949 review predates Kenneth Taylor’s Living Bible and Eugene Peterson’s The Message, but his analysis in many places could be applied equally well to those works as well. Knox, like Taylor and Peterson, overlays a modern sensibility to the ancient text, making it into a Frankenstein text, ancient stories rendered in the modern fluidity of the text of airport bookstore bestsellers. If this is what one is looking for, then I can recommend the Knox translation, but one should not mistake reading Knox for reading the Bible. At least that Knox translation of Exodus (i.e., Exodus 15:3) is monstrous. It seems that Knox has tried to sew supposed Hebrew sounds together with Latin sounds that result in freaky English. What’s most unfortunate is that here is an instance in which Jerome’s Latin Vulgate follows the Hebrew Bible much closer than does the Greek Septuagint. It might be helpful to see the Hebrew and Everett Fox’s translation of that compared with the Latin and John Wycliffe’s translation of that. YHWH is a man of war, YHWH is his name! The Latin allows the unspeakable Tetragrammaton to be spoken aloud with Dominus and suggests its rhythmic repetition with ominpotens. The Latin also uses quasi as it struggles with the Hebrew metaphor making it rather a simile (and still avoiding the paraphrase of the Greek Septuagint, which has κύριος συντρίβων πολέμους, or “The Lord, when he shatters wars” as per the NETS English). newadvent.org has the entire Baronius Press edition. That appears to have been a later revision. Yes, I have noticed that a number of differences between different editions of the Old Testament, particularly in the Psalms. I have an earlier edition of the Psalms being sent to me, which I hope to use to compare with the final Baronius edition. Good to hear from you Theophrastus!